Public Relations campaigns, at least in this Utah PR firm’s experience, are usually measured in weeks or months. Even CSR PR (corporate social responsibility) campaign plans may forecast only a few years out. Imagine a media relations plan spanning more than five decades. Now think of the volatile entertainment business where one hit wonders abound. It would be more rare than a photo of Jerry Lee Lewis, Carl Perkins, Elvis Presley and Johnny Cash singing together. Or, say this picture of Sammy Davis and Marilyn Monroe. And, it would outlast all of them. That’s the rarefied air the Osmond Family now finds themselves in. With spinoff businesses right and left, George and Olive Osmond happily sat in the publicity background while directing the businesses generated by the Osmond entertainment machine. 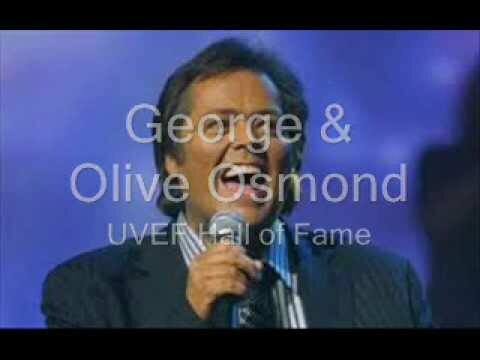 In preparation for the induction of parents George and Olive in the UVEF Hall of Fame November 2nd, Jimmy Osmond shared some factoids with me about his parent’s business legacy. Search #UVEF for Twitter comments during the Hall of Fame dinner. Osmond Website – Scream NOW! 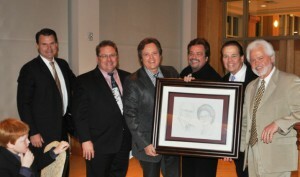 2012 – Osmonds sold 100,000 tickets to 51 shows in the UK alone. The Donny & Marie show is the No. 1 rated Vegas show in 2012. Osmond Real Estate, started by George, still employs 60 agents. Osmond Studios employed 150 in Utah Valley at its peak , producing more TV commercials than any other studio in the U.S. It produced 1,100 hours of network programming. In their three Branson, Mo. Theaters, the Osmonds produced 300 shows per year for 21 years, with various performers entertaining more than 4 million visitors. Olive Osmond presented a Book of Mormon to the Queen of England. Elvis called Olive on the phone and talked for hours about the Bible. The Children’s Miracle Network, created as a result of the Osmonds’ work for the deaf, currently benefits 17 million children per year and has raised $4 billion to date.